STOP. Face the facts. One in three women is physically, sexually, or emotionally abused during her lifetime. BE AWARE. This is happening. Domestic violence does not discriminate against age, economic status, religion, sexual orientation, or race. UNDERSTAND. Know the issue. 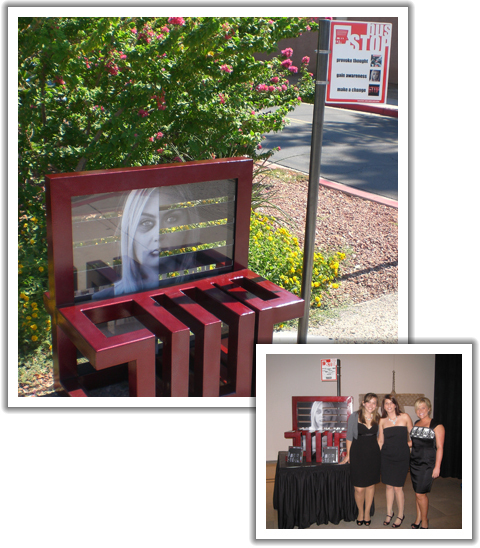 Domestic violence remains in the shadows; it is not openly talked about in our community. LEARN. Find solutions. 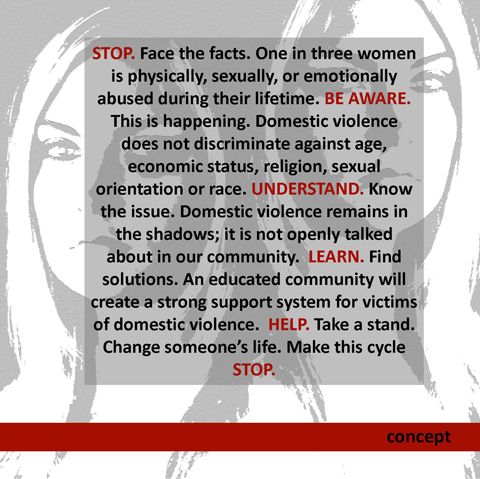 An educated community will create a strong support system for victims of domestic violence. HELP. Take a stand. Change someone’s life. Make this cycle STOP.